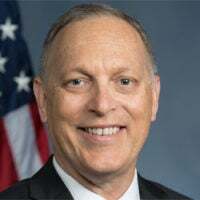 Rep. Andy Biggs is the U.S. representative for Arizona's 5th congressional district. He serves on the House Judiciary Committee and the House Committee on Science, Space and Technology. Each year, I love to celebrate Thanksgiving. It’s a time for family, fellowship, and reflection. It’s a time of thanks. I’m especially grateful for the holiday this year. It has been a long, divisive year—not only in Washington, D.C., but across the nation. At times, it can be difficult to watch, read, or hear the news. We often find stories that fail to unite us, when our immediate need is to rally around our commonalities that bind us as fellow Americans. For a moment, even for just a meal, Thanksgiving can alter much of this. Thanksgiving brings family and friends together and puts a pause on the news cycle. 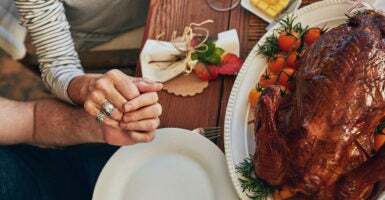 Thanksgiving gives us time to think about the blessings in our lives. I’m thankful for my family. I’ve spent most of the year apart from my wife and youngest daughter while in Washington, D.C. The time away from them has reminded me about how blessed I am to have them in my life. On the other hand, I have enjoyed the opportunity to spend more time in our nation’s capital with several of my older children, who live and work there. I’m thankful for my faith, which strengthens and comforts me. It has helped to establish the principles I stand for in Congress. It gives me clarity when much of life seems muddled. I’m thankful for my friends. Their texts, letters, and face-to-face interactions mean so much. They brighten my outlook after a hard day. They keep my focus on doing the right thing for my district, knowing that my votes and actions affect them and their grandchildren’s futures. I’m thankful for my country and for all the men and women who have served to keep us free. We live in the greatest country in the world. People from around the globe look at our freedoms and long to experience even a portion of our liberties. However, as so many have said, freedom is not free. Many men and women have paid the ultimate price to secure the blessings of freedom for the next generation. Let us stay vigilant in our commitment to defend our freedoms. Let us always remember the soldiers who fight for us and their families who sacrifice with them. I’m thankful for my constituents. I believe that I represent the greatest district in the greatest state in the union. I understand that many don’t always agree with me. No one ever will. But I respect the right of everyone to bring their ideas, comments, opinions, and critiques to my attention. No one person is more important than another, and I’m grateful for all of the passion expressed by my constituents. I’m thankful for our Constitution and the founding generation. They created the longest-standing written Constitution in the history of the world. Our structure of government has lasted for over 200 years. This Constitution charted the course for the most powerful country in human history to become a tremendous beacon of freedom. I’m thankful for my colleagues in Congress and for our president. We don’t always agree—even within our party. Yet, our discussions and debates have the potential of making our nation stronger. I’m grateful for the privilege of being a member of Congress. So, as you celebrate this week, I hope you are surrounded by those you love. May the spirit of thanksgiving lift you, your family, and your friends. I pray that we all will appreciate each other a little more this upcoming year. May we always give thanks for what we have been given.